Two weeks ago, in “SEO: Measuring Key Performance Indicators,” I discussed the importance of goal setting and key performance indicators in search engine optimization. Now it’s time to use the data to act. KPIs measure SEO success relative to the goals outlined. Directional and actionable indicators get to the meat of the problem to inform how to solve it. Whether you call it a directional or actionable data point isn’t really as important as how you use it when you’re managing SEO performance. When there’s an issue, the next step is clear: Find the issue and fix it. For example, say the goal is to meet or exceed 15 percent organic search revenue growth each month year over year. The KPIs show that the goal has been achieved successfully each month for the past six months, but last month growth flat-lined, with no increase in organic search revenue year over year. The goal and KPIs are clear, and they’ve been missed. There’s a problem. Directional data helps diagnose where the problem occurred and actionable data helps analyze how to fix it. Returning to the example above, we know conversions were down. The immediate directional questions that come to mind are these. Is the decrease in revenue only occurring in organic search, or are other channels impacted similarly? Are organic search visits down as well? Are organic search traffic orders down as well? Have rankings worsened for important keyword phrases? Is the decrease in performance specific to a certain set of organic search landing pages? Working with the keyword sample size available, is it possible that the decrease in performance is specific to a certain set of keyword phrases? Examining the backlink portfolio, are many links from the same source or sites that have low credibility? 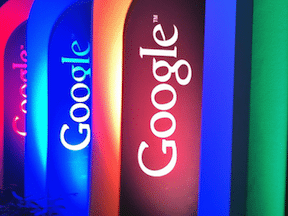 Have Google or Bing Webmaster Tools sent any messages? Have there been any platform, technical, or content updates on the site in the last month? These questions they work to narrow the focus to a more manageable set of data. If visits increased by 15 percent last month year over year but conversions did not, then we know there’s a problem with conversion rather than traffic generation. Did conversion elements change on the site – color, size, wording, placement, anything? Were they removed from some key pages? Did the conversion function break or was tracking removed? Did a promotion end? If the problem is specific to conversion on organic search traffic, perhaps Google chose to rank a couple of the key pages differently, promoting different pages that convert at a lower rate. Asking ever-more specific questions gets us closer to the actionable data. Finding the cause of the problem means we can fix it, or at least create a plan to re-optimize the suddenly sub-optimal elements. Another possibility, using the same example, is this. Let’s say that visits from organic search are down as well as conversions. It’s likely that the cause of the decreased traffic is the same as the decreased conversions — that the lower traffic caused the lower conversions. Check the conversion rates to be sure, but it’s likely. Now we need to identify the extent of the issue. Is it limited to a certain type of landing page? Have rankings fallen for a certain set of keywords? Has traffic decreased across a certain set of keywords or rankings? Focus in as tightly as possible on the affected pages and keywords, because those are the pages or keywords that need to be examined more closely to find the actual issue. If the decrease hits only organic search and dramatically affects all of the data at once, the resolution may be trickier. Read my article, “SEO: What to Do When Site Traffic Hits Bottom,” for tips on diagnosing and creating a plan for situations like this. The most desirable situation is successfully meeting KPIs month after month. In the previous example, the goal was to meet or exceed 15 percent organic search revenue growth each month year over year. Now let’s say that we met our goal yet again, for the seventh month in a row. Hooray! Everything is good. We have a choice. We can let it ride, making no changes, and hope that the current organic search state continues to perform at levels that meet our goals. Or we can look at the midlevel performers and tweak them to boost performance. SEO requires, by definition, optimization. Ecommerce sites that are serious about driving customers and sales should be tweaking and testing regularly. There’s always the fear that an optimization will have a negative impact. Frankly, it’s possible. In my article about content optimization, “SEO 101, Part 8: Content Optimization,” I refer to it as an ongoing experiment. You make well-informed changes based on data, wait for the impact, and measure the results. If the results are positive, you’ve increased performance. If the results are negative, you make another well-informed change based on data and repeat. For example, let’s say that your blue widget category page receives a couple hundred organic search visits a month, compared to the thousands of visits your other category pages drive. 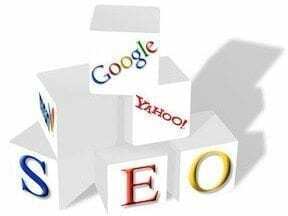 Rankings reports show that your site typically ranks around the bottom of page 2 in Google’s search results for the most valuable keywords related to blue widgets. This is probably an optimization opportunity to improve performance. Most importantly, remember that hoarding data in a spreadsheet has zero impact on organic search performance. To improve, you have to take well-informed action, based on the data.